With so much good surf news on the pro level, we’d be remiss if we forgot about the local groms that have been so dominant for the last year. With a commanding performance to cap off 2017, Kade Matson went haywire at the National Scholastic Surf Association (NSSA) contest at Seaside Reef. Held in pumping, overhead surf, Matson came away from the weekend with wins in both the Open Men’s and Open Junior’s divisions, and locked in a perfect 10-point ride in the process. “Wow, it was an incredible weekend; some of the best waves I’ve surfed here,” said Matson, who was subsequently named the NSSA’s Surfer of the Week. Matson’s already had a banner year that’s seen him win national titles, GromSearch contests and just about every other amateur accolade out there, but he caught some serious fire in December. 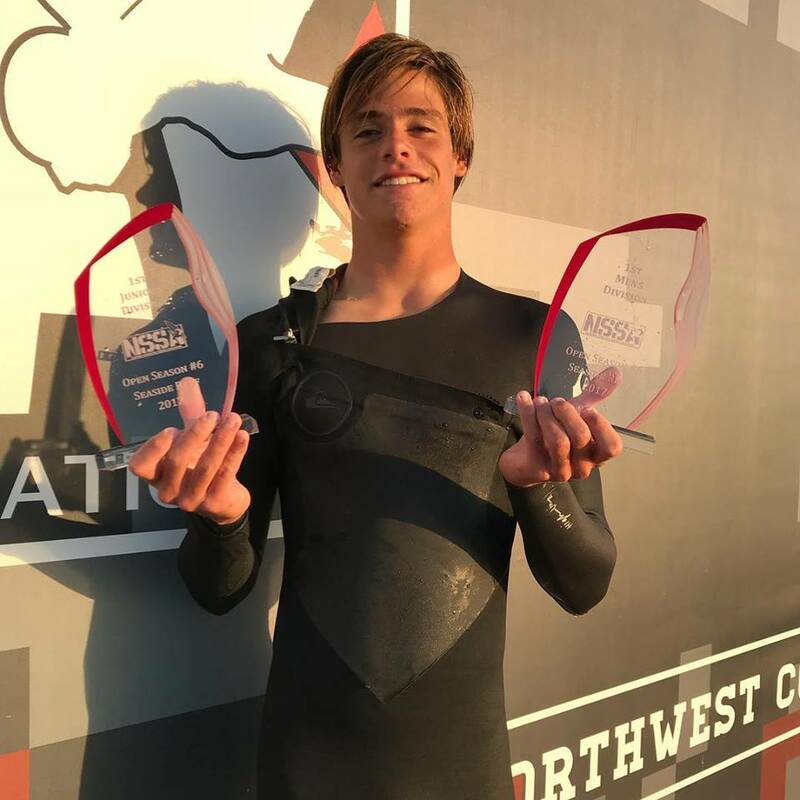 Prior to dominating the NSSA ranks, at the USA Surfing Prime event at Salt Creek he came away with wins in both the Under 16 and Under 18 divisions. Matson is definitely one of the hottest junior surfers in America today. With local surfer Griffin Colapinto qualifying for the WSL Championship Tour at the ripe old age of 19, the way things are shaping up, could 15-year-old Matson be far behind?